INFORM Human Rights Documentation Centre, a FORUM-ASIA member organisation from Sri Lanka, published a new report on the human rights situation in Sri Lanka. 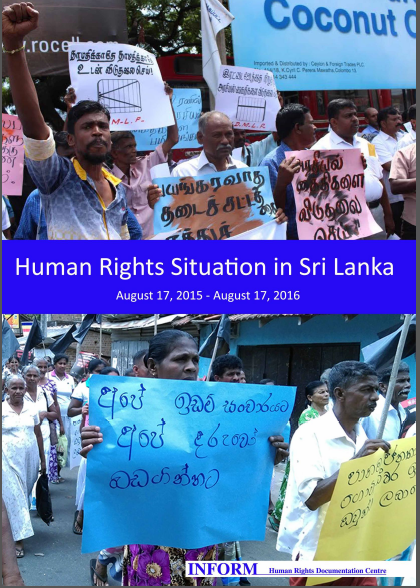 The report, entitled ‘Human Rights Situation in Sri Lanka (17 August 2015 – 17 August 2016)‘, assesses human rights developments and trends in Sri Lanka over the last year. 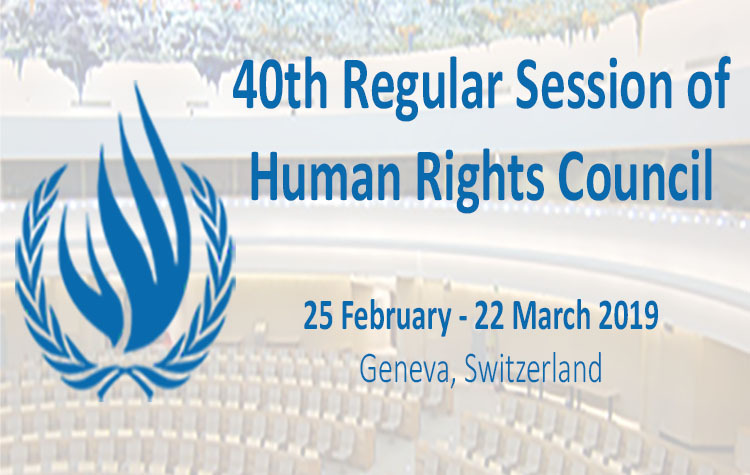 The report reflects on significant developments such as the appointment of independent commissioners of the Human Rights Commission of Sri Lanka (HRCSL), the passing of the Right to Information Act, the launch of public consultations for a new constitution, and the ratification of the International Convention against Enforced Disappearances. At the same time, the report highlights long-standing human rights issues, such as on-going abductions and disappearances, arrests under the Prevention of Terrorism Act (PTA), as well as unaddressed issues such as the protection of rights of persons with disabilities, social & gender discrimination, and migrant workers’ rights, among others.